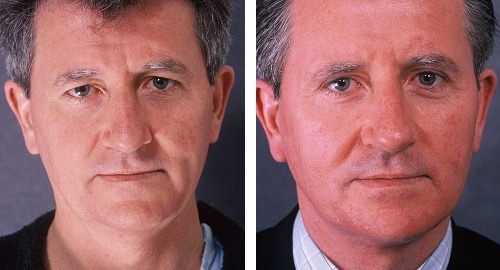 Before and 3 months after Blepharoplasty and Neck lift. Today more women and men are considering a facelift surgery or mini face lift to help restore their face to a more youthful appearance. No longer do you have to worry about having a "plastic" or pulled look that was one of the concerns of the facelifts of old. 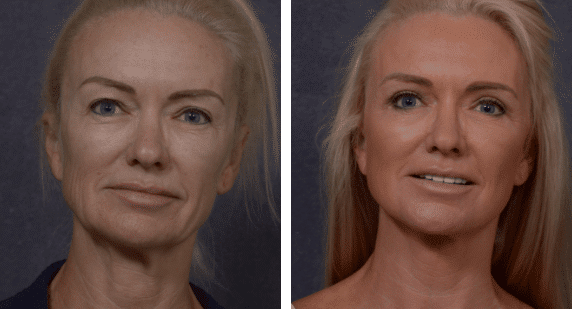 Having performed so many facelift surgeries, Dr Hodgkinson's facelift patients tell us that their family and friends say they look like themselves, just more youthful, refreshed and more vibrant! 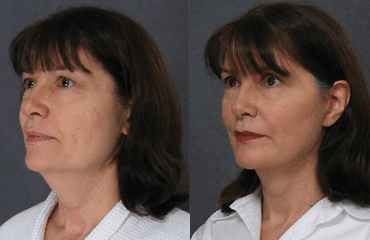 Facelift surgery restores a more pleasing contour to your face and neck. A mini-facelift can be done alone, or in conjunction with other procedures such as a forehead lift, eyelid surgery, or nose reshaping. 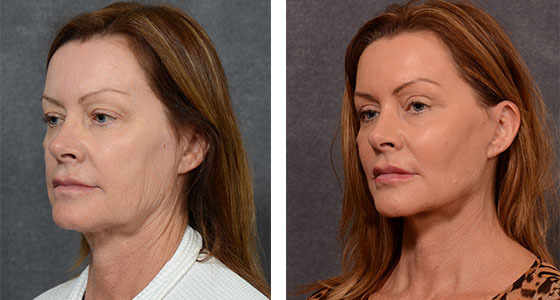 Ask Dr. Darryl Hodgkinson and the specialists at The Cosmetic & Restorative Surgery Clinic about the facelift procedure that is right for you, they are the leaders for facelift surgery Sydney. 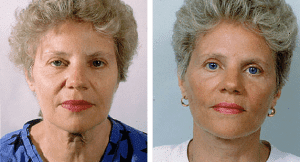 Are you a Facelift Surgery Candidate? If your face and neck have started to sag you may be a good candidate. Dr. Hodgkinson can assess your skin's elasticity and help you determine the appropriate procedure for you. Remember, facelift surgery has been successfully performed on patients as young as 40 years old and as old as 80 years old. 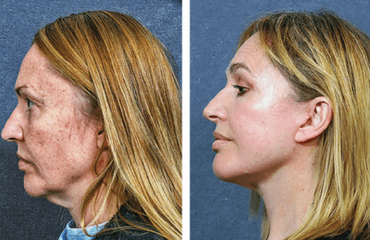 The full facelift is a comprehensive procedure that addresses the entire face through to the neck. The areas of focus ofcourse, will depend on the individual's needs and desired outcome. The facelift operation elevates and re-drapes the facial skin and underlying musculature to eliminate laxity and sagging. The operation can be designed to correct problems in the neck, under the jaw and/or chin and in the cheeks. 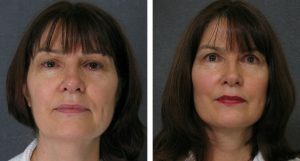 The midface lift (often called a mini facelift addresses sagging in the cheek or middle third of the face) tends to be popular in the younger facelift patient whereas the older patients tend to require a full facelift to address ageing in the lower two thirds of the face. This change in the type of mini face lift and facelift most common for different age groups is due to the fact that as individuals age, there is a change in the skin just as there are changes in all other parts of the body. Fatty tissue tends to decrease in volume and in density causing the skin to sag and hang loosely. There are also changes in the bony facial structure that, when combined with changes in muscular action and the effects of gravity, leads to more prominent skin folds. These changes are greatest under the chin, in the upper neck and at the skin folds near the corner of the mouth. How long the results of restoration surgery will last depends on many factors. These may include genetics, life-style habits such as drinking and smoking, sun exposure, stress and the effectiveness of the original procedure. While we continue to age after we have had surgery, the surgical procedure can help set back the hands of time and start them ticking again from an earlier point.